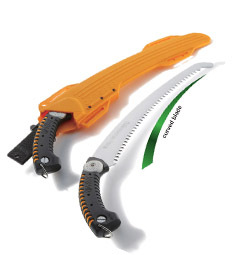 The Gomtaro Fine range offers a traditional straight bladed pruning saw. It is a finer version of the ever popular Gomtaro and replaces the Gomtaro Apple. 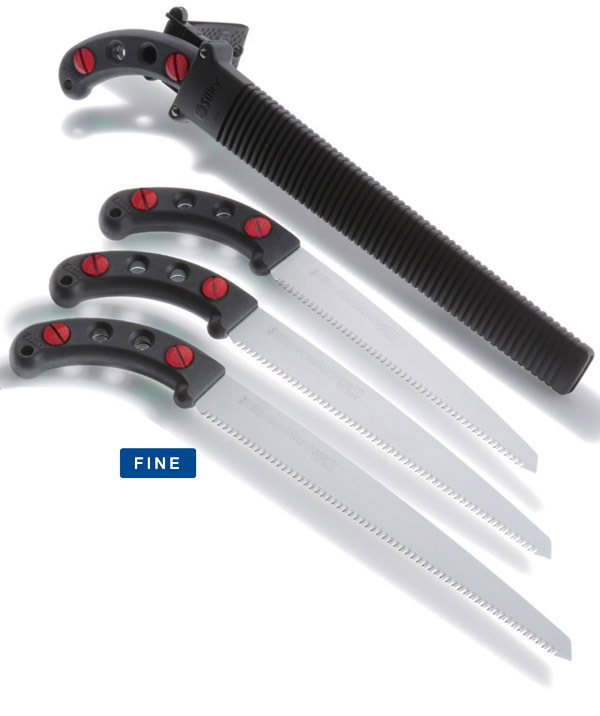 Gomtaro Fine comes in 3 different blade lengths, 240mm, 270mm and 300mm. 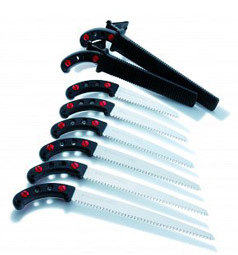 Gomtaro Fine saws have a teeth configuration of 13 teeth per 30mm for a smoother finish when cutting dryer and/or harder wood. 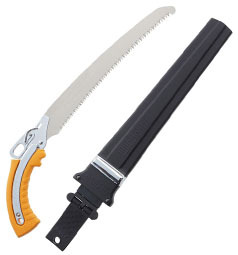 The saws come with comfortable rubber handle and a custom made, durable black polypropylene holster which can be attached to a belt or leg strap. 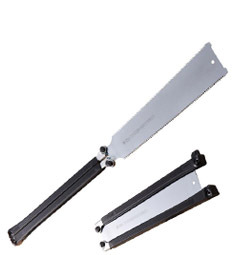 The saws cannot be sharpened but are designed to have replacement blades and all other parts are also available. 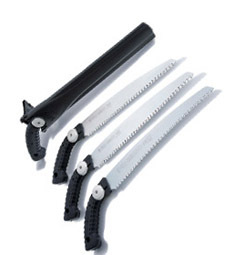 The range also include the Gomtaro Pro-Sentei saws which offer 2 different teeth sizes on the same blade and the Gomtaro Root Saw.